The Rocla 101L Heavy Haul Tie is the standard for America’s Class I railroads. Rocla concrete ties have a well-established record of performance and quality on Class I railroads in North America, especially in demanding heavy haul track conditions. 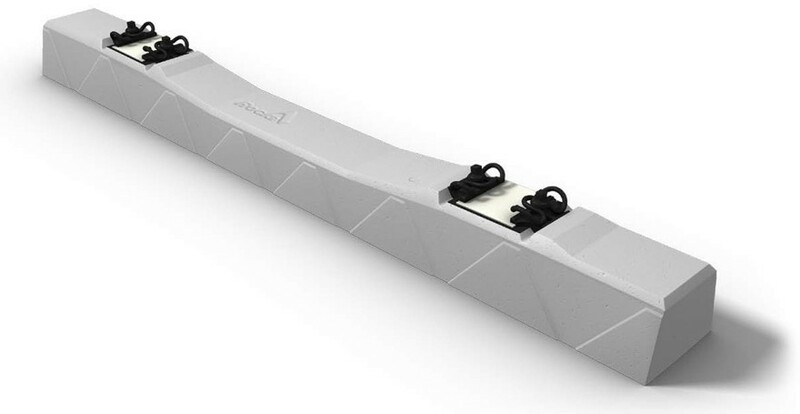 Pre-stressed concrete ties are the foundation of a strong track structure that provides stability through improved tack surface alignment and gauge holding performance. Concrete ties also provide exceptional resistance to weathering and corrosion, which is critical in areas on extreme temperature fluctuations where degradation can occur. The 101L Heavy Haul ties have been engineered for mainline applications for both the BNSF Railway and Union Pacific Railroad.